Dr Joanna Harnett holds a Doctoral, Masters and Bachelors degree in Health Science majoring in Complementary Medicine. Joanna currently holds a full-time teaching and research position with the University of Sydney’s Faculty of Pharmacy and is a member of the Health Services research theme. An estimated 70% of the Australian population take or have taken a Complementary Medicine in the last 12 months. Despite the prevalent use, there is limited knowledge amongst health care professionals, regulatory bodies and the general public regarding the efficacy and safety of many of these medicines. 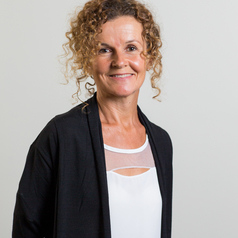 Joanna is involved in a number of projects that aim to contribute towards raising the standard of education and quality use of Complementary Medicine in Australia. Joanna's' own PhD work investigated the role of probiotics in altering the intestinal microbiota, symptoms and quality of life in individuals with Coeliac disease. This research project was conducted at Southern Cross University which received an ERA 2015 rating of 5 (well above world standards) for Complementary and Alternative Medicine research.